Hey there folks! Jerm here with a quick celebrity related Tampa Bay area events update for you today! Come sip and stroll with SuperBowl Champion Charles Woodson of the Green Bay Packers and his delectable Cabernet from Napa Valley. Jackson&apos;s Bistro will feature delicious appetizers to pair with the wine tasting while mingling with your friends! What better place than to do an event like this than Jackson&apos;s as the only thing that is as good as the food is the amazing atmosphere! 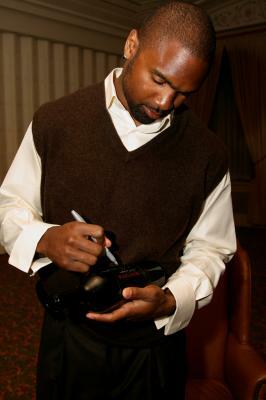 Woodson will be available for autographs and pictures, along with bottles of wine to purchase and have signed! You won&apos;t want to miss this one folks as its gonna be a great event, so get your tickets now! Advance tickets are available for $75! Call 813-277-0112 to reserve your spot! Space is limited!